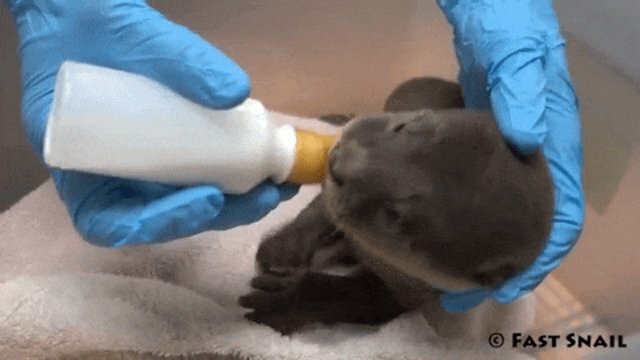 When a baby otter was separated from his family - nicknamed the Marina 9 by Singapore's devoted otter-watching community - one man found himself literally jumping into action to save the young otter's life. Earlier this month, Toby, a 6-week-old pup, was spotted drowning after he slipped into a canal during high tide. The cub struggled to stay afloat, OtterWatch wrote on Facebook. That was when Patrick Ng, a retiree, dove in to scoop Toby out of the rushing waters. Ng then left him alone in a safer location with the belief that Toby's family would eventually come pick him up - but they never did. 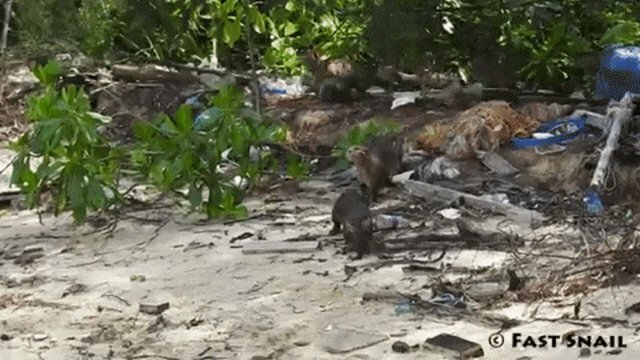 When the otter watchers realized Toby was still on his own later that day, they called in the Wildlife Reserves Singapore (WRS) to rescue the wayward otter pup ... again. In WRS' care, Toby was bottle-fed and given an overall checkup to make sure he was in good condition, according to the Straits Times. 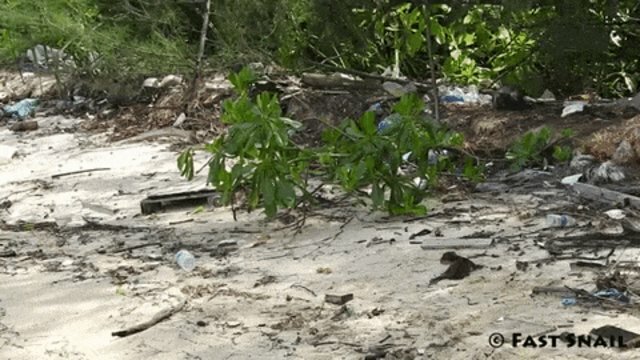 Once veterinarians believed Toby was strong enough to return to the wild, he was taken to a beach area where members of OtterWatch, along with WRS and the National Parks (NParks), determined Toby had a better chance of linking back up with his family. 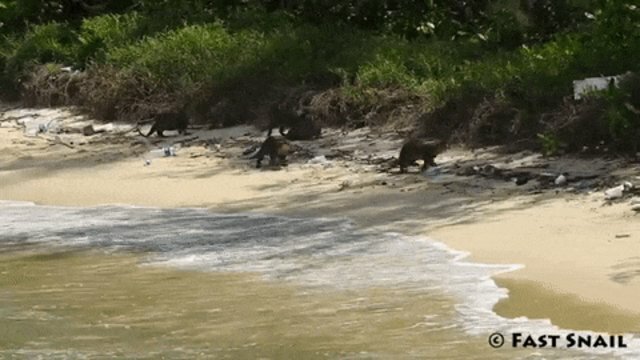 At first, the otter pup was kept in a carrier - but when Toby didn't leave the carrier or cry, he was taken out of the carrier and left alone on the sand. It was only then that Toby began to cry loudly. Then, in a glorious display of solidarity, his entire family came running for him. Toby was gently nuzzled and sniffed by the adult otters before scurrying off with them, heading home at long last. "The rescue and reintroduction of Toby has demonstrated an unprecedented collaboration and 'make-it-happen' spirit between members of the public and across multiple agencies," Jeffery Teo, a member of OtterWatch, told the Straits Times. "Everyone puts in their best, not for pride nor glory. We just want to bring Toby home. This is humanity at its best form." NParks and WRS are reportedly still watching over Toby to make sure he doesn't get rejected from his family. But so far, things appear to be going well for this beloved little otter and his equally adored family.